If, for example, you are considering an ERP system for your business, you’ll have to make a very crucial decision: should you pick a cloud-hosted service or a locally-hosted solution? The fact that both of these services are equally promising has led to an ongoing discussion about the superiority and the security concerns of one over the other. The fundamental point is that not all solutions work equally well in the Cloud or in an on-premise hosted solution. There are benefits and disadvantages to both platforms. Your choice between these platforms will depend a lot on the type of need, service or software you’re considering. However, with the rise of cloud-based services, an additional fear comes into play. After all, you are trusting someone else to host your data, aren’t you? This fear is so widespread that many IT leaders believe that these powerful internet services are a security nightmare. But is this really the case? I’m going to get into a few objective insights about the sense of security these two ways of delivering your solution bring. Cloud computing is all about storing and accessing data, programs and applications you’re using over the internet instead of storing and accessing the same thing from your computer’s hard drive or a server somewhere in the building (=on-premise). Cloud computing gives you flexibility, with less control. However, it all comes at a cost. One of those complications is intellectual property. Many people will argue over IP issues of your stored data on the cloud. Who owns the data you store online? Can the service provider hold a claim over your data? Can a government? If so, which one? Apart from that, there are also strong security concerns about data that you store online. The service provider can access the data you stored on the cloud any time. Your data can even get deleted accidentally. A number of cloud providers can even share information with third parties for purposes of law and order. They might even do so without a warrant. But as a customer, you have to agree to their privacy policies before you sign up for their services, which means your stored data is vulnerable. All in all, it seems that there are a lot of arguments against cloud-hosted enterprise software. On the other hand, the on-premise software delivery model installs and operates from a company’s in-house server and computing infrastructure. It requires only a license or purchased copy of the software to operate. Since the software used is licensed and the fact that the entire instance of software remains within an organization’s premises, there’s more control in terms of security. But at the same time, since on-premise software requires in-house server hardware, software licenses, integration and active support from the IT wing of the organization, it’s more expensive than cloud software. And it actually requires way more maintenance costs than you might think. In a recent study of IT decision makers by BT, 49% of the respondents said they are ‘very or extremely anxious’ about the security implications of cloud services. The study showed that for 76% of the respondents, security is the main concern when it comes to cloud-based services. Forty one percent of the respondents also believed that all cloud-based services are ‘inherently insecure’. This means that still a large population remains doubtful about cloud services. When a company maintains its in-house data center, it has more or less complete control over who accesses its data. True in theory, but reports say that most security breaches happen as a result of malicious intentions of the employees. When breaches occur this way, it often take a long time for the company to discover and handle them. In fact, cloud systems provide better security to unauthorized physical access of data. It is very difficult to accurately locate cloud-hosted data as the secure servers are usually located in multiple locations. Even when a security breach does happen, the cloud service provider company will alert their customers of any such activity, and they’re usually pretty quick about it. That said, security maintenance is key. A cloud service’s main concern is keeping its solution secure. If your company’s on-premise solution can’t do the same, then you might have to give it a second thought. Proponents of on-premise systems are of the opinion that with in-house data centers, you can ensure better maintenance of your servers because system checks can be performed as required. According to them, when the system is framed out to a third party, longer waiting periods are bound to happen. However, cloud vendors claim that service disruptions are very rare. And if that does happen, they have systems in place to ensure quick recovery. On-premise systems require a substantial investment to implement. You will need to buy related hardware, servers and software and to have experienced IT staff to manage the system. Once the system is functional, you will also require time and money for routine maintenance and upgrading of the system. With a cloud-based system, your initial costs are much lower because you don’t have to invest in most of the things mentioned above. You simply implement the software and access it through the internet. The service provider does the maintenance and upgrading as well as ensuring the security of the system. Cloud systems are often based on pay-as-you-go subscription models. This model makes planning and usage of data easier for you. When you’re business is experiencing massive growth, you can use cloud solutions to quickly expand into new regions without having to make huge investments. On-premise expansion will require significant infrastructure and staff investments. A cloud application can be accessed from any browser in the world. 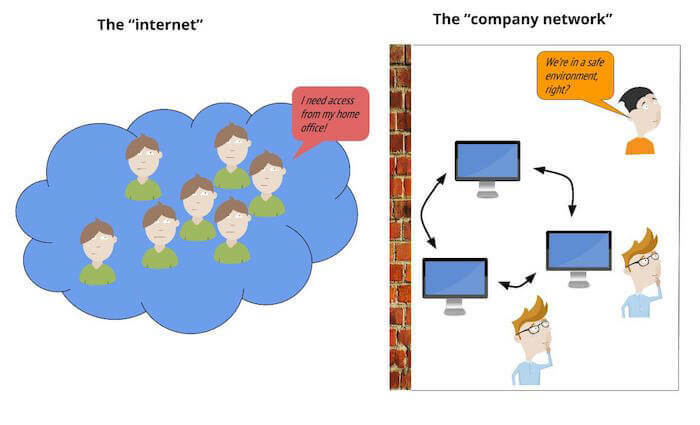 This adds to the flexible working pattern for cloud users. On-premise systems often require complicated security profiles for data to be accessed by a third party. With cloud-based data hosted externally, it is easier to give access to a third party user. This makes outsourcing easier. However, if there’s an issue with gaining access, there’s no local admin you can quickly get in touch with to fix it for you. With cloud-based service, you will have to go through their customer support and this may take more time than you would like. One important aspect of cloud applications is the need for a consistently stable, high speed internet. Cloud applications depend on internet access to be usable but not all places in the world have steady access to high speed internet. This may cause an issue for global companies. Putting that into another perspective, you can argue that having access to your cloud software from anywhere in the world is a huge advantage because you are not limited to any physical offices. An on-premise application is customized to suit the business needs of an organization. A cloud service caters to a large number of users and is usually not customized to suit a particular business’ needs. 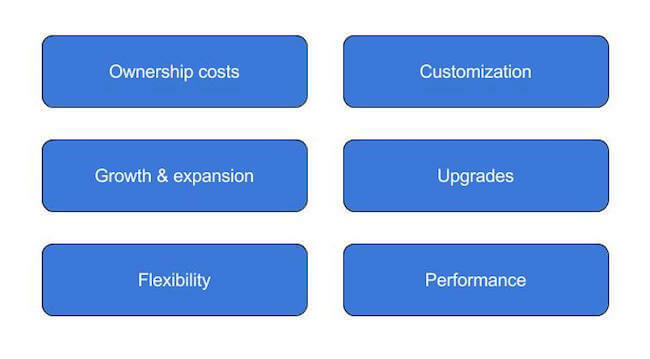 Know your comfort level for customization before going for a cloud application. If you have processes already in place, this is also something to take into consideration. With on-premise applications, you have control over upgrades. You decide when and what upgrades will be introduced. Many cloud applications implement daily, weekly or monthly upgrades. This can be chaotic and disruptive for your business and your users. Find out if the cloud application you choose allows you to select which updates you want and whether you can test the updates before implementation in your system. For most of us, the benefits of cloud computing seem to outweigh its risks. One thing to consider is when a cloud service shuts down. If that happens, your business is at a huge risk. Research your cloud vendor well before you take a plunge into cloud computing. The debate is certainly not finished and even though cloud solutions have been here for a while now, there’s still much to learn and find out about the risks involved. In terms of security, each solution has its benefits. A good cloud service provider may perform far better in terms of security compared to your on-site solution. It usually comes down to vetting the cloud provider you’re going to work with. Of course, be aware that even a locally hosted application can have gaping security holes in it. I know, I just talked about on-premise vs cloud hosted software. Last but not least, I just wanted to give you a heads-up on Usersnap, which is our very own bug tracking and feedback tool, used by companies like Facebook, Oracle, and Google. Feel free to give it a try. It’s free for 15 days. If user feedback and testing isn’t part of your business. No worries. That’s fine. However, you might enjoy our email list full of design tips, development tricks, and tech news.